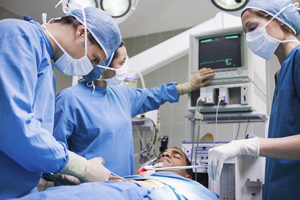 Preventable medical errors are a problem in healthcare system and are on the rise. Despite the use of Root Cause Analysis (RCA), the problems of preventable medical errors persist. Root Cause Analysis is a Human Reliability Analysis method being used to investigate preventable medical errors in healthcare. The persistence of medical errors suggests that there is either an absence of reliability engineering analysis or a gap in the reliability analysis currently being performed. Given the numerous errors, patients demand for high service quality, liability suits and public pressure, healthcare administrators are making it critical to embrace the application of reliability engineering analysis. Reliability is defined by the Institute for healthcare Improvement as failure free operation over time. It may be necessary to change process design, perform reliability analysis or become more dependent on risk management to avoid medical errors. Errors in Setting Device Parameters. Untimely, inappropriate, inadvertent activation of controls. Departure from following stated instructions and procedures. A patient was seriously injured by over-infusion because a nurse mistakenly read the number 7 as 1. A human error caused a fatal radiation-overdose accident involving the Therac radiation therapy device. Performing benchmark studies to measure baseline performance. Identifying evidence based interventions that eliminate the errors. Selecting interventions with the most impact on outcome and converting to practical solutions. Developing and establishing measures or matrices for reliability performance of system. Ensure patients received evidenced based interventions. Our consultant utilizes reliability principles to design systems that compensate for the limits of human ability, improve safety and the rate at which a system consistently produces desired outcomes. Our experience in various industries enables us to collaborate with your team to develop a customized reliability system that meets criteria for a high reliability organization. High Return on Investment [ROI]. Confidence in service quality by assessment. Improvement in medical service reliability and quality. Reduction in patient complaints and liability suits. Prevent or reduce the probability of system failure. 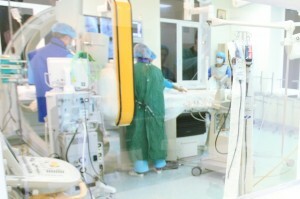 Improvements in patient safety and effectiveness of medical device. 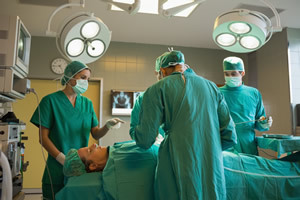 Potential reduction in medical errors and improved process control. Minimize the error liability of the individual. Reduce the error vulnerability of the task elements. Discover, assess and then eliminate error – producing factors. Diagnose organizational factors that create error – producing factors. We provide reliable implementation of proven interventions through our reliability engineering service. Our consultant will work with your team to develop reliability specification for your operation as well as a reliability program. We encourage you to select us as your technology partner and we can help you work towards achieving the goal of failure free performance and extend this performance over years instead of quarters.